Elon Musk smoked weed on the Joe Rogan show Friday and that’s all people are talking about on Twitter. “It’s like a cup of coffee in reverse,” the Tesla and SpaceX CEO said while lighting up during a live interview with California comedian Joe Rogan. Rogan lit up a blunt and passed it onto Musk, who has admitted that he is not a regular pot smoker. Tesla shares plunged more than nine percent Friday after news of a couple of executive resignations and Musk’s pot smoking video. Marijuana is legal in California, but Twitter users still weighed in with comments which ranged from people calling the negative comments childish to cheering him on. “Elon Musk just made weed lame,” tweeted Vice. 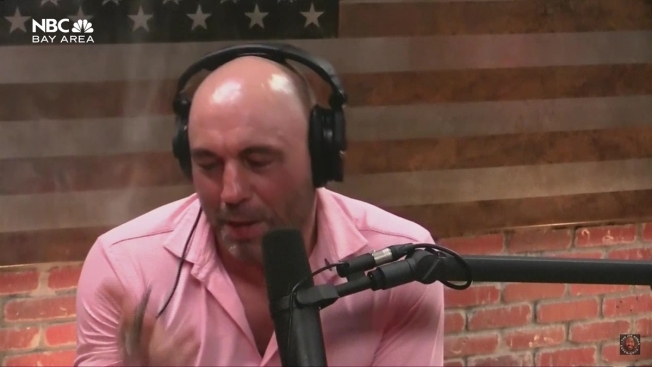 “Interesting how much is being made of Tesla CEO Elon Musk taking one puff of legal cannabis yet he was drinking whiskey throughout the interview with Joe Rogan. If we’re going to be upset about a drug should it not be alcohol, the most dangerous in the world?” one commentor said. CNBC contributor Jane Wells weighed in: "I do not consume cannabis. Not my thing. But the reaction to @elonmusk smoking (state) legal #pot on a podcast shows the deep divide between the western half of the US and the NY-DC corridor. I mean, come on, have you ever been to Silicon Valley? California? West of the Rockies? “The reaction to Elon Musk & weed is so childish. It's also a good time to recall that Steve Jobs (along with other key Silicon Valley visionaries) credits LSD with some of his most critical insights, without which he believes Apple would not have happened,” journalist Glenn Greenwald tweeted. I do not consume cannabis. Not my thing. But the reaction to @elonmusk smoking (state) legal #pot on a podcast shows the deep divide between the western half of the US and the NY-DC corridor. I mean, come on, have you ever been to Silicon Valley? California? West of the Rockies? All of us need to just accept and love Elon Musk. This is our Tony Stark.